Do You Have A Remembrance Of This Hero? Post It By Clicking The Button Below. Editor's Note: SSGT Henrich's cousin, S. M. Lloyd, has a tribute to Myllin that includes a photo array at http://spaces.msn.com/myllin. Photos of Myllin may also be found on Contributor's Corner at Ktroop.com. I was with Myllin in Nam. I have a couple of pictures of him. Myllin, your unforgettable personality is forever a part of me. I especially remember your kindness toward all, and try always to emulate that quality so you live on. I thank God for having known you. 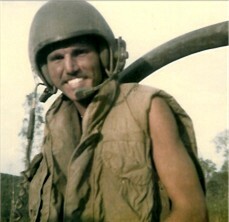 Anyone who knew Myllin in Nam, would like to hear from you.